Ianu and I have become Kiznaivers. I can tell because we share each other’s physical and emotional pain and can tell what the other is thinking. Our thoughts come alive in the script comments in a way that could bring everlasting peace. Ianu: It hurts. 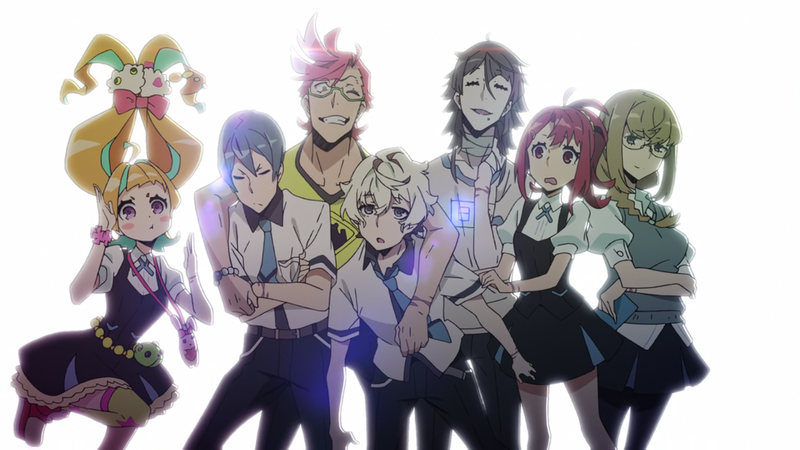 We learned that the singer of Boom Boom Satellites isn’t well and the OP for Kiznaiver will be their last single, so joletb and Akatsukin decided to put some effort in and kfx the opening. Just like every goddam angry russian kid becomes one with my other when I don’t rush B, suka blyat tovarishch! I always thought this song had no actual lyrics. He won’t. He’ll die most likely, and soon. I’m glad and all that you finally did subs for the OP… but that font is awful.